One thing we love about Instagram is the feeling of camaraderie when collectively fawning over a great outfit. 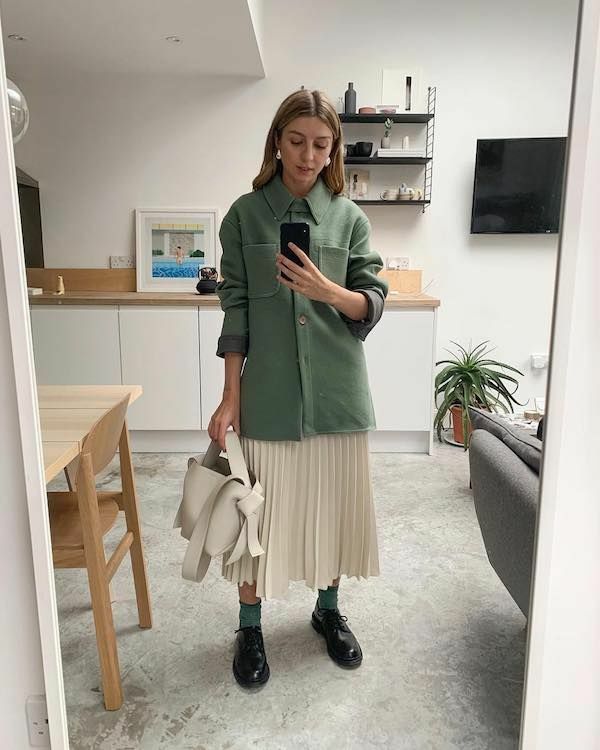 That's the exact case with this spring look from Brittany Bathgate—over 21,000 people, including ourselves, liked the look. The British style muse paired a green Acne jacket with a pleated midi skirt, and classic oxfords.